The Baker Hughes U.S. rig count was down 13 this week to 1,971. 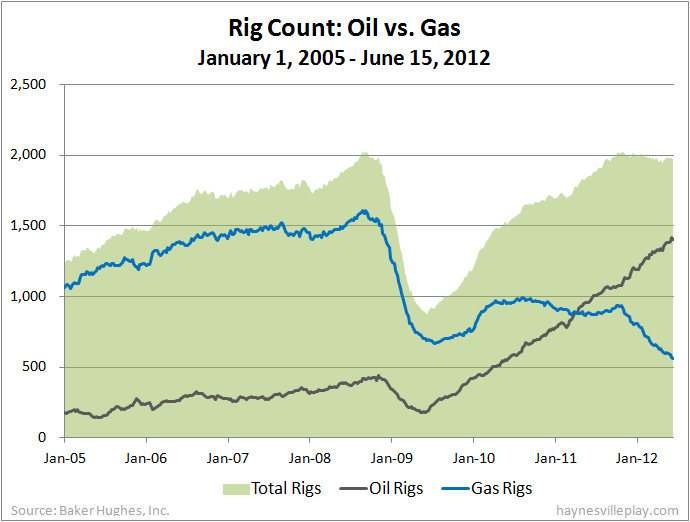 Oil rigs were down nine to 1,405, gas rigs were down three to 562 and miscellaneous rigs were down one to four. Among gas rigs, horizontal rigs were down three to 388, directional rigs were down three to 99 and vertical rigs were up three to 73. Among all rigs, horizontal rigs were down 15 to 1,162, vertical rigs were up four to 576 and directional rigs were down two to 233. Cheap U.S. Exports: What A Reversal! Natural Gas Exports on Back Burner?